Over the decades, Over The Hill Farm has sold and leased hundreds of ponies and horses! 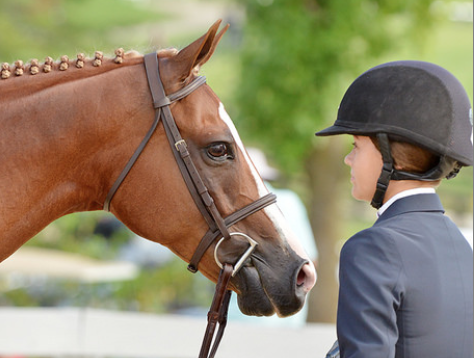 We are proud to have created winning partnerships, from Short Stirrup to the USHJA International Hunter Derby, and strive to produce and represent the highest quality ponies and horses in the industry! 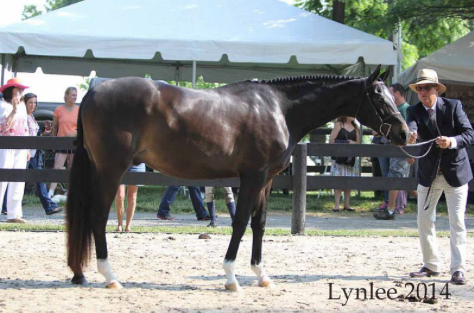 Westin placed second at the Upperville Colt and Horse Show in the 2-year-old colts and geldings out of 12! Congratulations to Whitney and Allison Sinclair and trainer Maria Rasmussen on the purchase of Q-Pid, a 2006, 16-hand bay Holsteiner gelding by Quidam. Q-Pid was the 3'3" Junior Hunter, Section A, Champion and Grand Champion at the 2017 Capital Challenge Horse Show with Adam Edgar. Best of luck with this talented and beautiful hunter! 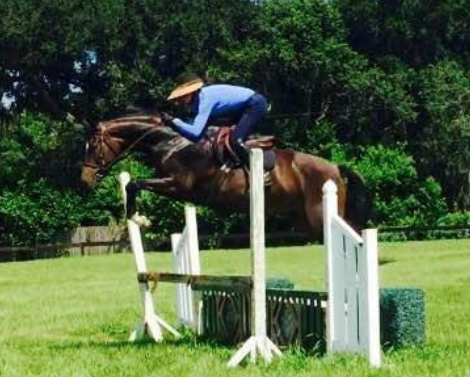 Congratulations to Grace Blum and trainer Zachary Parks on the purchase of Tinsel, a 2010, 15.3 1/2-hand warmblood mare (Lord Star--Corrina L). 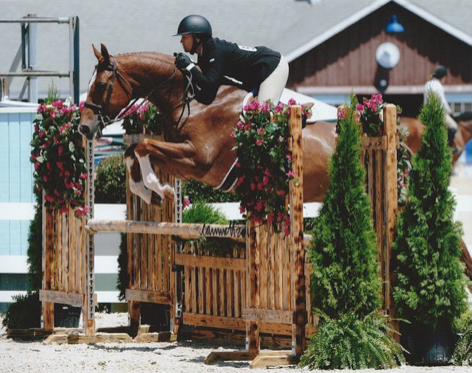 Tinsel was a star Pre-Green Hunter, and we wish you the best of luck in the Junior and 3'6" Green Hunters in 2018! Mustachio was third overall in the Small Green Pony section at the 2016 US Pony Finals with Luke Jensen! Congratulations to Alexa Lignelli on the purchase of iApprove, a bay 13.1 1/2-hand German Riding Pony (Chardonnay--Courtash Kotton Kandy). 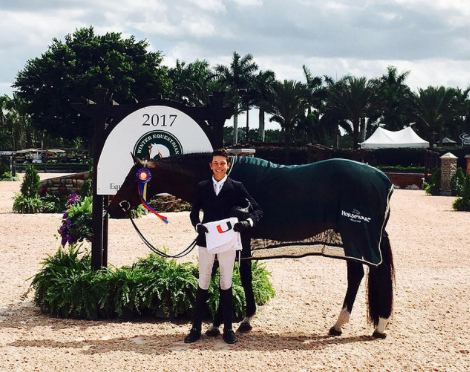 iApprove has earned countless championships in the Green and Medium Pony sections, including the 2017 WEF Circuit Champion Medium Green Pony. 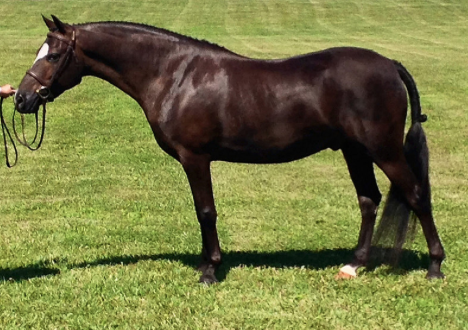 Hopewell is a 2006 bay 14.2-hand Welsh Pony (Orchard Boginov--Verona's Coco Chanel). Type: Perfect Small Pony Hunter Packer! Type: Perfect Packing Medium Pony! Great First Pony! Honest, Quiet, Safe!! 2015 US Pony Finals Reserve Champion Large Green Pony with jumping scores of 88, 89, 90! Qualified for Junior Hunter 3'3" Finals! Pony Finals 2014 Reserve Champion Large Green! Model Winner! 2014 Pony Finals Model winner, fifth in the Under Saddle and fourth Over Fences. Second in the 2015 US Pony Finals Large Pony Model. Qualified for the US Pony Finals 2015 - Large Green Pony Hunters - Applause is the whole package to be the next top Large Pony Hunter!..Model, hack, jump and amazing attitude! 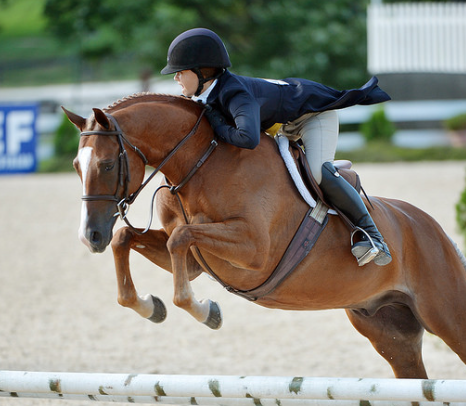 Grand Champion Children's Hunter at the 2014 Upperville Colt & Horse Show!